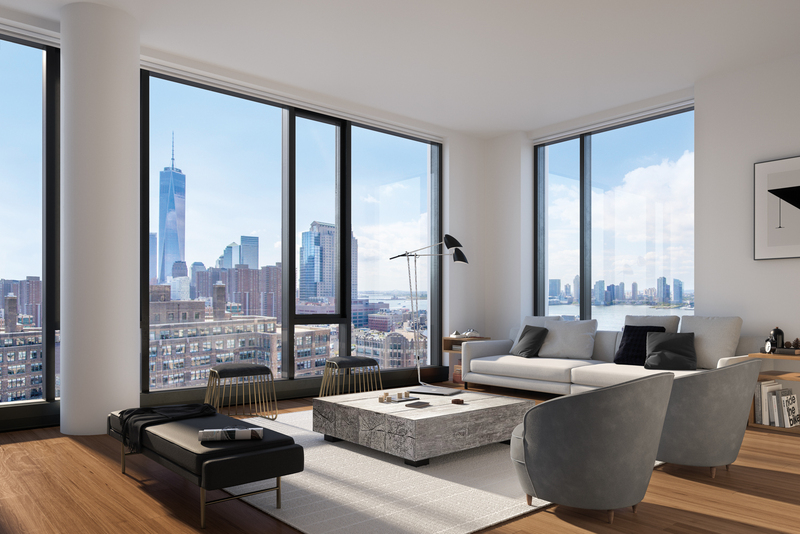 New renderings have been revealed for the 25-story residential high-rise under construction at 570 Broome Street, in Hudson Square. Tahir Demircioglu, founder of the architectural firm Builtd, designed the 287-foot tall structure. Images show a minimalist façade dressed with Neolith-sintered stone slabs, framing three-story blocks of dark windows from the bottom to the top. The project will yield a total 76,700 square feet, with 1,800 square feet dedicated to commercial space on the first floor. A total of 54 condominiums will be created, with an average area of 1385 square feet apiece. Skidmore, Owings & Merrill LLP, designed the interiors. 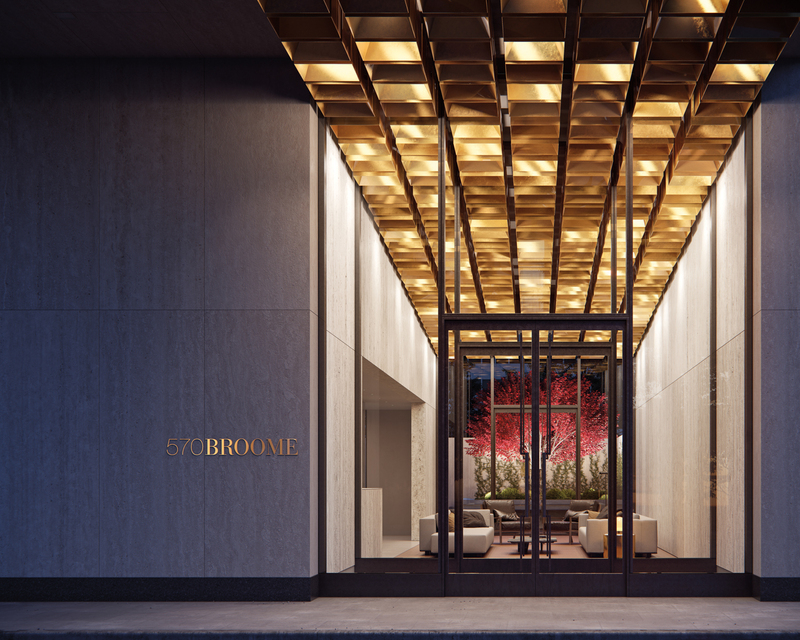 Their achievements here include creating a custom ceiling light installation, and a private entry garden with one Japanese maple tree as the centerpiece. Stone was selected by Greek architect Spiros Soulis, and imported from the Iktinos Marmaron quarries, in Greece, to be fitted into the interiors. The development was specific when installing the stonework to retain the unique visual characteristics of the stones, considering them as valuable decoration in their own right. 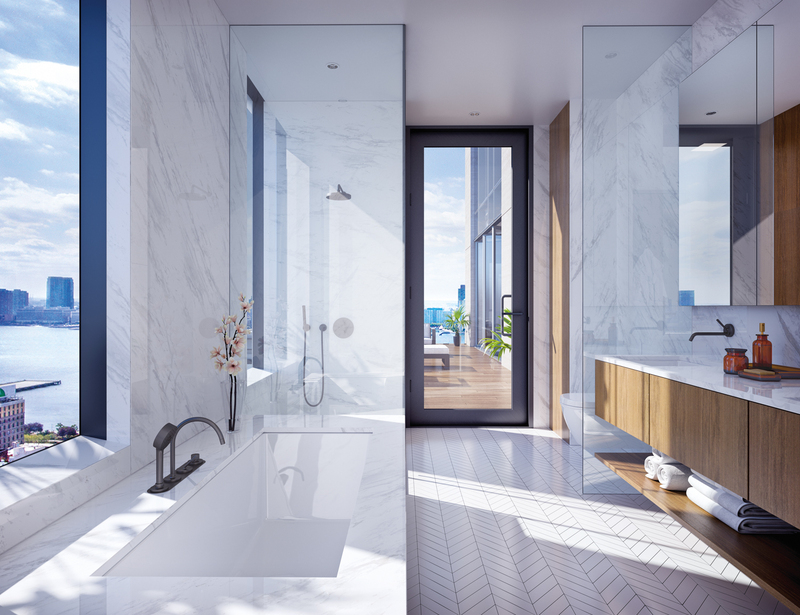 Each residence will have hardwood floors, nearly 11-foot ceilings, as well as floor-to-ceiling windows. 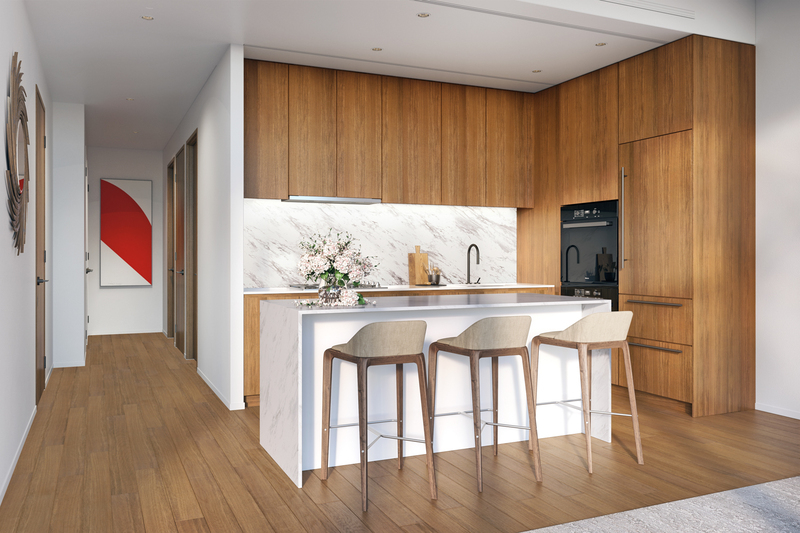 Kitchens will have new appliances by Miele, and polished Calacatta slab-marble countertops. Residents will have access to the lounge space with an outdoor terrace, and fitness center with an equipped gym and yoga studio. Sales have officially started for the one to three bedroom condominiums. They anticipate occupancy will be achieved in a year. The target sellout for the building is expected to be around $150 million dollars, averaging $2.7 million per unit. Prices start at $1.35 million. Murat Agirnasli and Partners is responsible for development. 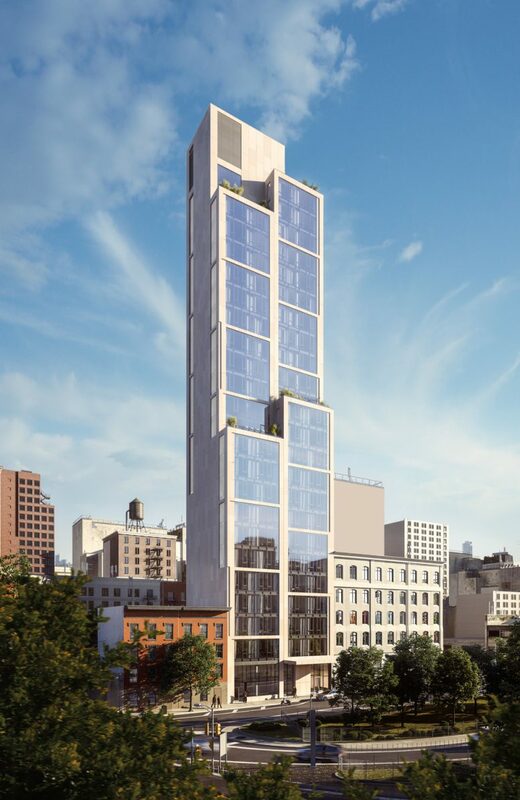 1 Comment on "Close-Ups Revealed for Residential Tower at 570 Broome Street, SoHo"
Beautiful modernity power stronger than nuclear threefold.